Introduction: Diabetes mellitus is a condition in which the level of sugar in the blood rises to above 120mg/dl. When sugar level is increase, the level of Glycated haemoglobin (HbA1c) in the blood is also increases. In this review we did find the natural as well as traditional medicine in the treatment of diabetes and the home remedies that reduces the level of HbA1c and blood sugar. These remedies are inexpensive compare to synthetic medication and less side effects. In this review we summarize the use of cinnamomum, turmeric, ginseng, fenugreek, momordica and many other natural occurring remedies for used in the management of diabetes and related diseases. Methods: All of the contents and examples of the plans and other parts of the required medication effectively collected from Science direct, PubMed and Google scholar. This is a significant collection of data of diabetes and related reduction of major complication of HbA1c and related diseases. Results: In terms of scientific study the cause of diabetes mellitus is generally started with the increase level of free radical generation in the body which can cause misleading of chain formation in the cell. In general physical terms, diabetes developed due to lack of physical exercise and choosing the wrong lifestyle patterns in terms of food, stress, sleep etc. With the help of physical exercise along with the use of medicinal plants the development of diabetes can be managed. These medicinal plants have free radical scavenging property; reduce the level of free radicals in the body, repair the body parts by oxidation and detoxifies the blood. These plants contains the active ingredients of antioxidants, flavonoids, vitamins, proteins, diosgenins and other specific compounds that signifies β-cell cell performance with reduction of blood glucose level. Conclusion: The article signifies the effect of natural medicines and revised the reuse of plant medication for the future use in the treatment of microvascular and macrovascular diseases. These are affordable and easy to found in the market with a small procedure to take. According to this review the natural medication is easy to use and have a wide variety of components to treat and manage the over the life threatening disease. We must have use the natural medication for showing tremendous results. Figure 1 Powder and bark of cinnamomum zeylanicum. 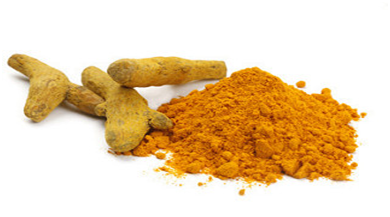 Figure 2 Turmeric root and powder. 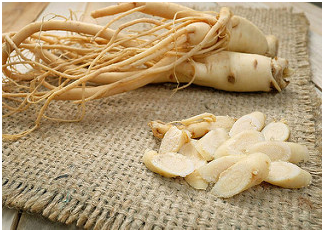 Figure 3 Ginseng root reduces level of HbA1. 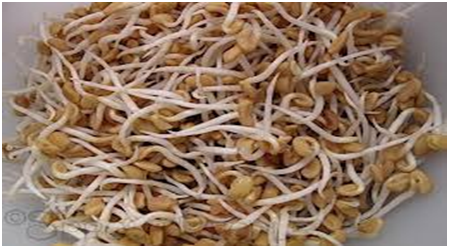 Figure 4 Sprouted fenugreek seeds. Figure 5 Leaves and unripe fruit of Gymnema sylvestre. This herbal medication is also known as “karela” in Hindi. M. charantia is available in all the states of India and it is a key remedy for reducing excess sugar in the body along with HbA1c. The aqueous extract (include 7 subjects) and dried powder of M. charantia fruit (5 subjects) were given as a single dose for 3 times. After the period of 3 weeks, the extract amount and the powder remedy reduced 54% and 25% of mean blood glucose level and HbA1c reduced from 8 to 6% by extract solution respectively.13 Administration of 2 capsule of M. charantia for 3 times daily did not reduce significantly amount of FBS and total cholesterol in T2DM patients. The only observation was on the reduction of HbA1c level to about 0.24% by the use of M. charantia. Every plant has its medicinal value in this world. Plants with anti-diabetes categories were detected for many centuries but the efficacy was not calculated. Now these natural or traditional plants parts have the tendency to treat and manage the diabetic patient and to reduce the level of sugar and HbA1c. They contain sugar decreasing compounds such as flavonoids, vitamins, fibers and full of antioxidants properties to enhance the efficacy of product. Yoshino K, Miyauchi Y, Kanetaka T, et al. Anti-diabetic activity of a leaf extract prepared from Salacia reticulata in mice. Biosci Biotechnol Biochem. 2009;73(5):1096‒1104. Tanko Y, Okasha M, Magaji G, et al. Anti-diabetic properties of Securinega virosa (Euphorbiaceae) leaf extract. African Journal of Biotechnology. 2008;7(1):22‒24. Mohana L, Sandhya R, Kiran U. A review on diabetes milletus and the herbal plants used for its treatment. Asian Journal of Pharmaceutical & Clinical Research. 2012;5(4):15‒21. Mamun-or-Rashid A, Hossain MS, Naim Hassan B, et al. A review on medicinal plants with antidiabetic activity. Journal of Pharmacognosy and Phytochemistry. 2014;3(4):149‒159. Mukesh R, Namita P. Medicinal Plants with Antidiabetic Potential-A Review. American-Eurasian J Agric Environ Sci. 2013;13(1):81‒94. Kazi S. Use of traditional plants in diabetes mellitus. Int J Pharm. 2014;4(4):283‒289. Bathaie S, Mokarizade N, Shirali S. An overview of the mechanisms of plant ingredients in the treatment of diabetes mellitus. J Med Plant. 2012;4(44):1‒24. Khan F, Negi K, Kumar T. Effect of sprouted fenugreek seeds on various diseases: A review. Journal of Diabetes, Metabolic disorders and Control.2018;5(4):119‒125. Hui H, Zhao X, Perfetti R. Structure and function studies of glucagon-like peptide-1 (GLP1): the designing of a novel pharmacological agent for the treatment of diabetes. Diabetes Metab Res Rev. 2005;21(4):313‒331. Shanmugasundaram ERB, Rajeswari G, Baskara NK, et al. 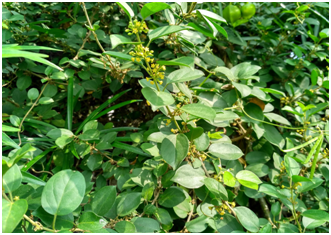 Use of Gymnema sylvestre leaf extract in the control of blood glucose in insulin-dependent diabetes mellitus. J Ethnopharmacol. 1990;30(3):281‒294. streptozotocin-induced diabetic rats. Saudi medical journal. 2013;34(7):727‒733. Gupta PD, De A. Diabetes Mellitus and its herbal treatment. International Journal of Research in Pharmaceutical and Biomedical Sciences. 2012;3(2):706‒721. Kumar A, Gnananath K, Gande S, et al. Anti-diabetic Activity of Ethanolic Extract of Achyranthes aspera Leaves in Streptozotocin induced diabetic rats. Journal of Pharmacy Research. 2011;4(7):3124‒3135. Andrade-Cetto A, Wiedenfeld H. Hypoglycemic effect of Acosmium panamense bark on streptozotocin diabetic rats. J Ethnopharmacol. 2004;90(2-3):217‒220. Vuksan V, Stavro MP, and Sievenpiper JL. 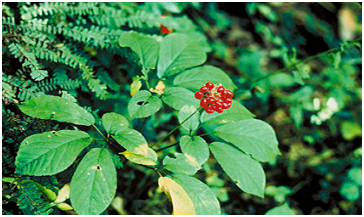 Similar postprandial glycemic reductions with escalation of dose and administration time of American ginseng in type 2 diabetes mellitus. Diabetes Care, 2016;23(19):1221‒1226. Eidi A, Eidi M, Esmaeili E. Antidiabetic effect of garlic (Allium sativum L.) in normal and streptozotocininduced diabetic rats. Phytomedicine. 2006;13(9-10):624‒629. Jayawardena MHS, de Alwis NM, Hettigoda V, et al. Double blind randomized placebo controlled cross over study of a herbal preparationcontaining Salaciareticulata in the treatment of type 2 diabetes. J Ethnopharmacol. 2005;97(2):215‒218. Dixit N, Baboota S, Kohli K, et al. A review of pharmacological aspects and bioavailability enhancement approaches. Indian J Pharmacol. 2007;39(4):172‒179. Hoseini HF, Larijani B, Heshmat R, et al. The efficacy of Silybum marianum (L.) gaertn. (Silymarin) in the treatment of type II diabetes: a randomized, double-blind, placebo-controlled, clinical trial. Phytother Res. 2006;20(12):1036‒1039. Hussain SA. Silymarin as an adjunct to glibenclamide therapy improves long-term and postprandial glycemic control and body mass index in type 2 diabetes. J Med Food. 2007;10(3):543‒547. Velussi M, Cernigoi AM, Viezzoli L, et al. Silymarin reduces hyperinsulinemia, malondialdehyde levels, and daily insulin needs in cirrhotic diabetic patients. Curr Ther Res.1993;53(5):533‒545. Mithun N, Shashidhara S. Eclipta alba (L.) A review on its phytochemical and pharmacological profile. Pharmacologyonline. 2011;1:345‒357. Ananthi J, Prakasam A, Pugalendi K. Antihyperglycemic activity of Eclipta alba leaf on alloxan-induced diabetic rats. Yale J Biol Med. 2003;76(3):97‒102. Bamosa AO, Kaatabi H, Lebda FM, et al. Effect of Nigella sativa seeds on the glycemic control of patients with type 2 diabetes mellitus. Indian J Physiol Pharmacol. 2010;54(4):344‒354. Shinde V, Borkar A, Badwaik R. Evaluation and comparative study of hypoglycemic activity of aloe Barbadensis Miller with oral hypoglycemic drugs (glibenclamide and metformin) in rats. International Journal of Medical and Pharmaceutical Sciences. 2014;4(6):31‒36. Kafash-Farkhad N, Asadi-Samani M, Khaledifar B. 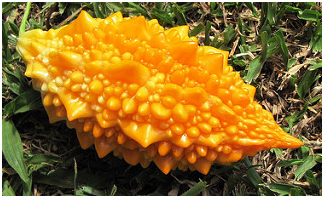 A review on secondary metabolites and pharmacological effects of Prangos ferulacea (L.) Lindl. J Shahrekord Univ Med Sci. 2013;15(3):98‒108. Ahangarpour A, Oroojan AA, Heidari H, et al. Effects of Hydro-Alcoholic Extract of Rhus coriaria (Sumac) Seeds on Reproductive Complications of Nicotinamide-Streptozotocin Induced Type-2 Diabetes in Male Mice. World J Mens Health. 2014;32(3):151‒158. Zhang XF, Tan BK. Anti-diabetic property of ethanolic extract of Andrographis paniculata in streptozotocin-diabetic rats. Acta Pharmacol Sin. 2000;21(12):1157‒1164. Kaleem M, Asif M, Ahmed QU, et al. Antidiabetic and antioxidant activity of Annona squamosa extract in streptozotocin-induced diabetic rats. Singapore Med J. 2006;47(8):670‒675. Kumar S, Alagawadi K. Hypoglycemic effect of Argyreia nervosa root extract in normal and streptozotocin-diabetic rats. Der Pharmacia Lettre. 2010;2(2):333‒337. Al-Shamaony L, Al-Khazraji SM, Twaij HA. Hypoglycaemic effect of Artemisia herba alba. II. Effect of a valuable extract on some blood parameters in diabetic animals. Journal of Ethnopharmacology. 1994;43(3):167‒671. Pushparaj P, Tan C, Tan B. Effects of Averrhoa bilimbi leaf extract on blood glucose and lipids in streptozotocin-diabetic rats. Journal of Ethnopharmacology. 2000;72(1-2):69‒76. Osadebe PO, Odoh EU, Uzor PF. The search for new hypoglycemic agents from plant. Afr J Pharm Pharmacol. 2014;8(11):292‒303. ©2018 Khan. This is an open access article distributed under the terms of the Creative Commons Attribution License , which permits unrestricted use, distribution, and build upon your work non-commercially.